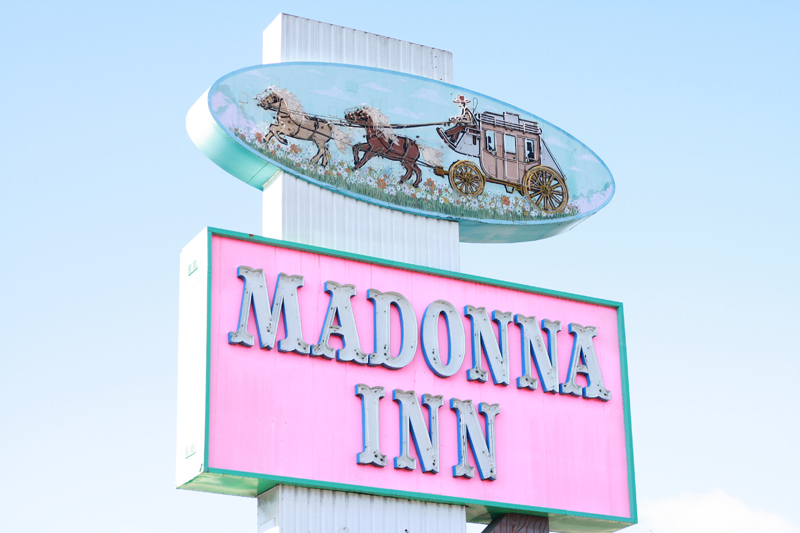 For my birthday a little over a week ago, I headed a few hours south to a place I have always dreamed of going... Madonna Inn! 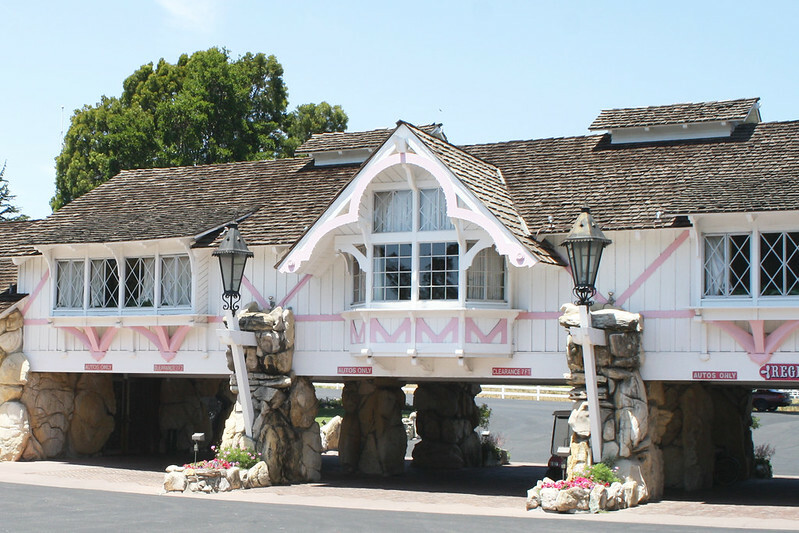 It is exactly how I had imagined it to be, pink, glam, kitsch, and pure magic! I couldn't think of a better outfit than this Forever 21 ensemble to go with the perfect weather. This simple white woven dress with embroidery on front, bell sleeves, and slit details is perfect for a roadtrip and for lounging around. I accessorized it with a fun patterned sun hat and these two tone canvas sandals with chunky wooden platforms that I absolutely love! 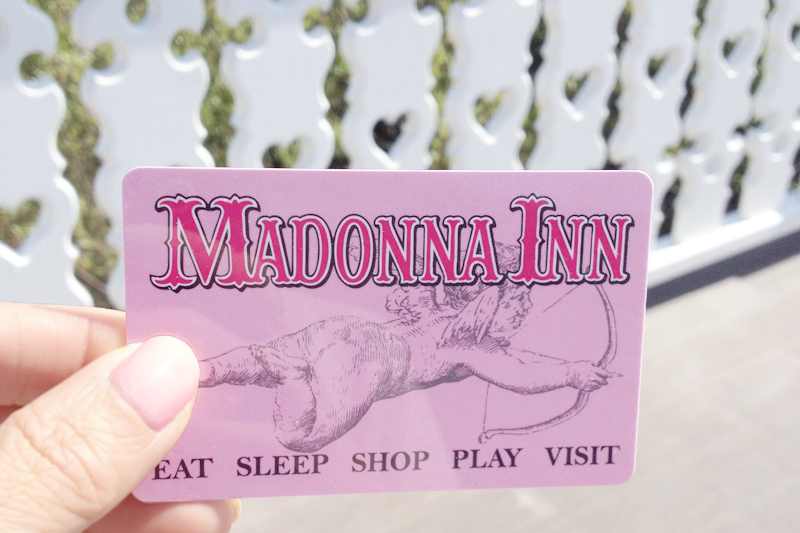 Thank you Madonna Inn for my complimentary stay, what a wonderful birthday present! Stay tuned as I show you around this heavenly place and take you inside the Love Nest (the room I stayed in) in my upcoming posts! Embroidered soft woven dress (sold out) c/o F21. Patterned straw sun hat c/o F21. Chunky platformed sandals c/o F21.